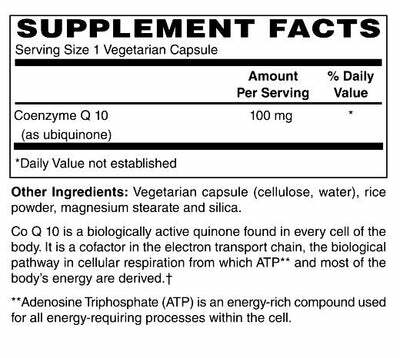 CoEnzyme Q10 (CoQ10) is a fat-soluble, vitamin-like compound found in every cell of the body. It is used by the mitochondria of cells to produce energy. CoQ10 is found in highest concentration in cells of organs that require large amounts of energy, such as the heart. CoQ10 also functions as a powerful antioxidant. * Antioxidants help protect cells from free radical damage. Free radicals are harmful compounds generated during normal body processes, such as breathing and digestion, but also upon exposure to environmental influences such as UV sunlight and smoke. Free radicals attack healthy cells, damaging their membranes, DNA and other components, compromising normal cell function. While the body produces CoQ10 on its own, levels decline over time, with a steady decrease beginning after age 30. Factors such as aging, genetics, and cholesterol-lowering statins can lead to a CoQ10 deficiency. Hawthorne is considered to be a vital cardiotonic effectively strengthening the contractile force of the heart while increasing blood flow and reducing blood pressure. * A long history of use has recently been confirmed in positive human clinical trials which showed safety and efficacy. * Our Hawthorne extract is standardized to contain vitexin rhamnoside. By standardizing the leaf berry and flower of Hawthorne plants we ensure a formula consistency that simply cannot be matched by any other means.